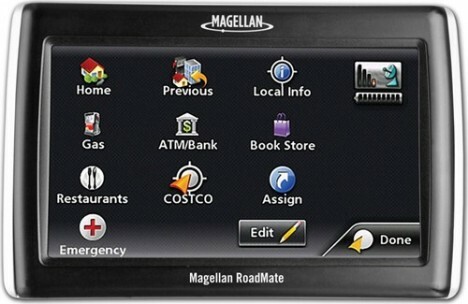 Magellan has announced its new navigation device – RoadMate 1475T, which is an updated version of RoadMate 1470. The GPS navigation device come with 4.7-inch WQVGA anti-glare touchscreen display, OneTouch favorites menu, and includes NAVTEQ maps of the United States, Canada and Puerto Rico. The Magellan RoadMate 1475t also equipped with VPAthat offers subscription free, real-time traffic alerts, incidents and road congestion reports. In addition, the Magellan RoadMate comes with searchable AAA TourBook listings that include restaurants, hotels, attractions, auto repair shops and other destinations. It also offers multi-destination routing with route optimization that lets users plan trips with multiple stops in the order they want or optimize a trip for the most efficient route. The new Magellan RoadMate 1475T currently available through retailer with the price from $299 each.